Barker has been a part of the fabric of Sydney life since 1890. It is a thriving school with a rich heritage, providing outstanding education for both boys and girls. 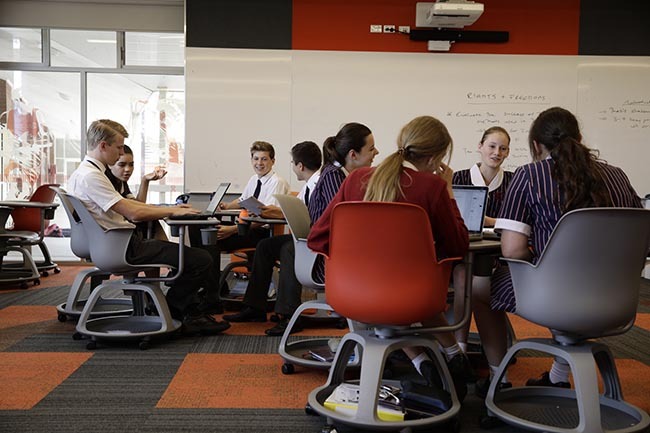 Located on Sydney’s North Shore, Barker College is an Anglican day and boarding school. In 2016, the school announced plans to become fully coeducational by 2022. Girls are now accepted into Pre-K and Kindergarten and from Year 3 in 2019 and in Year 7 in 2020. No two days at Barker are ever the same. Students are constantly challenging themselves – and being challenged – as they grow, expand their minds and learn to think big, practically and independently. From Pre-K through to the Senior years, students are exposed to a range of diverse opportunities and experiences. Through this, they’re able to develop resilience and adaptability within a supportive environment. The experience inside the classroom is only one part of a Barker education. Cocurricular activities deepen the school experience for all our students, and from the arts to the sporting field, students are encouraged to challenge themselves and uncover their talents. For Pre-K to Year 6 students, we offer a broad range of sporting, cultural and recreational cocurricular activities. Throughout Years 7 to 12, our students have even greater opportunities to pursue their passions. As well as Drama, Music, Cadets and over 20 different sports, Barker students can challenge themselves in the areas of robotics, debating and public speaking. Our secondary students also take part in compulsory Outdoor Education Camps. In this unfamiliar environment, students connect with the natural world while building leadership and teamwork skills.